■ CAP Sugar Cookie + FLV Cookie Dough: The deli cookie style I referenced was a pumpkin glazed sugar cookie so it only made sense to use CAP Sugar Cookie. The inclusion of FLV Cookie Dough helps soften the crispness since I wanted a fluffier texture. ■ FLV Pumpkin Spice: This contributes more spice than anything. The pumpkin note is a bit light in the background. ■ TPA Pumpkin: This is the meat of the profile. (Pun intended) TPA Pumpkin lives up to it's name. It's straight pumpkin. When used in lower ratios it provides an authentic meaty canned pumpkin without sweetener. SFT with this concentrate was not enjoyable. However, when it's mixed with just the right level of spices and components it tag teams surprisingly well. I got this concentrate in specifically for this recipe task. While not incredibly versatile, After trial testing I can certainly recommend it for recipes you may be striving for of this nature. ■ CAP Butter Cream: Cookies need butter right? Beyond that it helps impart further fluff and a waxy texture comparable to cookies. ■ FA Vanilla Classic: Comparative to the darker vanilla extract we've come to know in northern america as the "bakery vanilla". This simply helps to attribute to the overall bakery experience while adding some contrast to the meaty pumpkin. ■ FA Meringue: Another mouthfeel component, but also serves to further "moisten" the cookie. ■ CAP Super Sweet: While not wanting to go overboard, I felt the profile needed a sweetness boost being that this is a dessert recipe. Fabulous deli cookie. It's got that just right amount of fluffiness to go with the sugar cookie to make it thoroughly authentic. 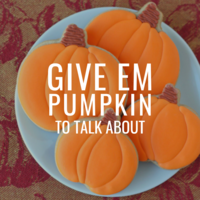 The pumpkin and pumpkin spice are at just that right level to where they enhance the whole sugar cookie vibe, but not overtake it. The buttercream frosting is that just right touch to make this bad boy make me go "Nope, not eating my calories today. I'ma vape em." and not be kidding. This hits that gotta have it cookie without any of the "guilt" you usually have if you eat the things. Nicely friggin done man! mixed this upa couple weeks ago for thanksgiving but after trying your oreo milkshake i had to dig for it. this is incredible. you actually have that pumpkin nailed down good job steam!